This package will install Chameleon 2 RC4 r684 to your OS X partition. It provides full Snow Leopard support. It loads 64-bit kernel and extensions by default. To boot 32-bit kernel and extensions, use "arch=i386" as a kernel flag. -Fixed booting the default partition when using timeout. -Added Intel Core i5 detection. -Applied rivig's patch against all stage 1 loaders. -Added DigitalDJ's SMBIOS CPU detection patch. -Added rekursor's patch which allows changing the UUID. -Applied hnak's read_lba register saving patch. -Added radekg's HFS filesystem fix to handle 2GB+ file sizes. -Added Netkas' ATI device injection, EFI64 tables, and hibernation fix. Many thanks go to the Voodoo team and everyone else who contributed to this wonderful boot loader. In the above example the booter won?t display partition 1 on BIOS drive 0 and partition 5 on disk 2. Fixed booting the default partition when using timeout. Added Intel Core i5 detection. ?Applied rivig?s patch against all stage 1 loaders. Now linear address mapping uses 12 bit offsets. Added DigitalDJ?s SMBIOS CPU detection patch. Applied IntVar?s system-id patch. Applied hnak?s read_lba register saving patch. Added radekg?s HFS filesystem fix to handle 2GB+ file sizes. Backported ATI device injection EFI64 tables and hibernation fix from netkas? PC_EFI. Thanks and credits goes for them! Better hardware recognition (Graphics cards and Memory)?
? Even better memory detection I was wrong about the grub2 detection I got it to work and thought it was this but when I reinstalled linux no grub detection sorry about that. I am leaving pre12 but this version is newer have fun? This modified boot file fixes time and A/V speed issues for i5/i7 P55 chipset systems. * Automatic detection of pci root uid value(for GraphicsEnabler and ethernetbuiltin options) based on parsing DSDT.aml file (if you dont use custom DSDT.aml, you will need to use -pci1 flag in case you have uid=1) . If booter fails to detect it or you dont have _UID property in pci root(in dsdt) then UID=0 used by default, but, if you have UID=1 and booter fails to detect it, use -pci1 boot flag. Uid detection works really well in most cases. This RC3 build is a small update to RC2, but we?re providing the long-awaited proper Snow Leopard extensions loading and a few fixes like 1TB+ disk addressing support. There are also some changes have been made to the graphics enabler and to the smbios patcher. Also you can even build the Chameleon sources under 10.6. - GraphicsEnabler now set up bin_image property for all radeon hd cards found in system, should fix 100% fan speed issue. - You can tell GraphicsEnabler(GE) to use custom version of bios(for overcloking/changing fan speed/ etc). Use option -useatirom, and GE will look for bios files in /Extra folder (from root and boot partitions, Extra from root partition has more priority). Place bios files to Extra folder and rename them to this format ? ati_XXXX_YYYY.rom, where XXXX ? devid, and YYYY ? vendor-id, for example rom file for 4850 should be named ? ati_9442_1002.rom. - 3rd party sm_cpu_type patch added (well, doesnt work for me anyway) and 3d party patch to fix hibernation. PC_EFI 10.3 with CPU Unknown fix! Finally, a real way to give a name to that ?unknown? cpu in About this mac and System Profiler. DigitalDJ, an insanelymac forum user has posted a compiled version of PC_EFI v10.3 with cpu recognition built-in and he also released a KEXT for folks who want the choice. Install: Overwrite the boot file in sym/i386/ on your bootdrive. EvOsx86 team brings you this time a patch for Netkas?s PCEFI V10.3, this patch adds support to load ATI binary roms (in the download you will find a Ati 4890 rom) in Snow Leopard. works as a loader for what ever version is installed with your MAC OSX partition, MUST INSTALL IN WINDOWS. WORKS PERFECT for booting either MAC or WINDOWS!!!!!! 1. Extract folder to your Desktop. but replacing YOURUSERNAME with, of coarse need I say? Now reboot and enjoy I have tested this on 1366x768 and 1280x800 resolutions I do not know if it will work with external monitors but if it does share your expaireance and Enjoy! This bootfix is not a bootloader actually.. But only a bootfix! 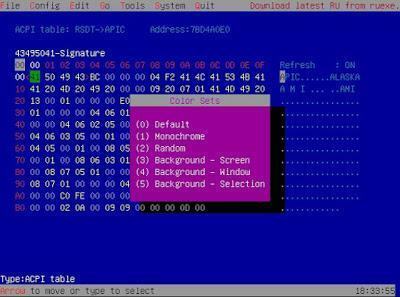 I've edited a script from Chameleon RC4 684 bootloader and removed some parts from the script. This will not install any kexts, but should fix booting problems of a harddisk. I think this should work for Snowleopard and Leopard 10.5 also! - hybrid boot0+boot1h loaders for both MBR and GPT partitioned disks. - automatic FSB detection code even for recent AMD CPUs. -JMicron IDE DVD fix, SSE2, K10, Phenom support !